When thinking about mountains in Italy, Alps come first to mind. That's only half of the story, though. Just a few valleys down from Valle Pesio, the Alps end, and a long chain of gentler mountains starts: the Apennines. While the Alps divide Italy from central Europe, the Apennines are like the spine of the peninsula, and divide the coast of the Adriatic sea on the east from the Tirrenian coast to the west. They go on for 1,500 km, as far south as the tip of the italian "boot", actually crossing the Scylla and Charybdis straits into Sicily. Between the Alps and the Apennines, it should be clear by now that Italy is mostly a mountainous country. You cannot really go from one coast to the other, or enter the river Po valley from south, without crossing some mountain. Fortunately the Apennines are not as high and fierce as the Alps, and numerous roads have been made to cross them since the times of the romans. The romans were also the first to dig tunnels through the Apennines, like the gallery of the Furlo pass (next to an even more ancient tunnel dug by the Etruscans), which is still in use today. Today these mountains are criss-crossed by the italian excellent highway and railroad system, consisting of a long sequence of very impressive tunnels and viaducts, where italians drive at impossible speeds in narrow lanes without even the concept of safety distance. 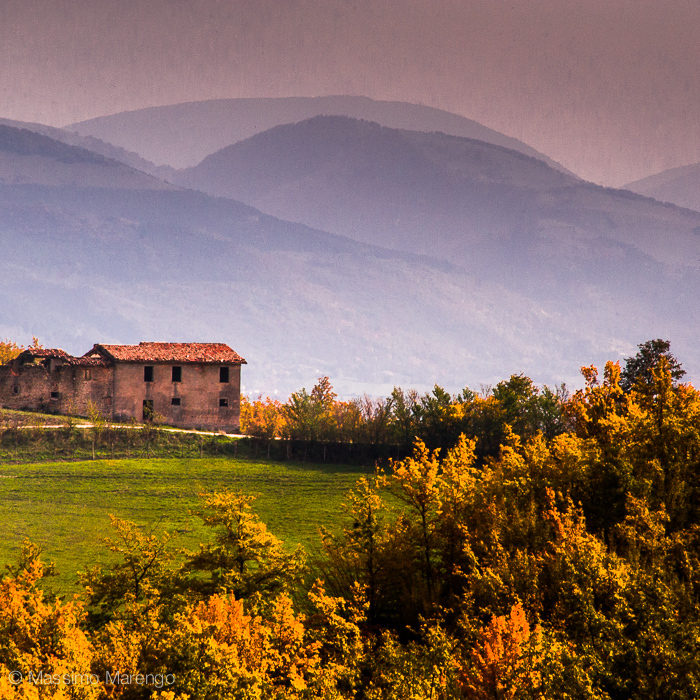 The photos in this post were all shot in Umbria. 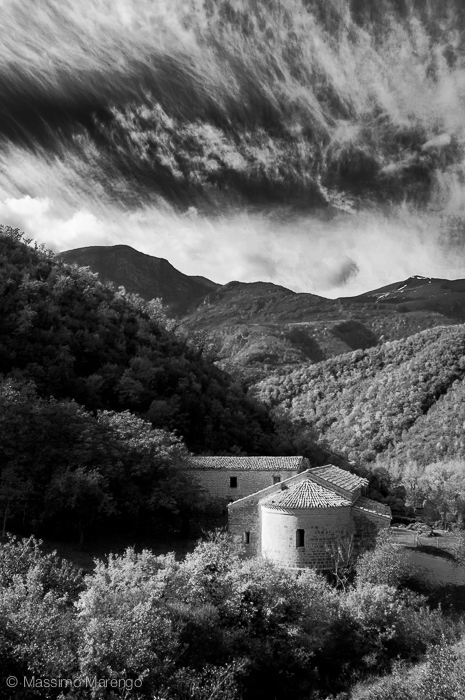 This is one of the few landlocked italian regions, completely cut off from the sea by the Apennines. We have been in Umbria several times, as one of my collaborators works there, providing me an excellent excuse for repeated visits. Mayli also had one meeting in the area. In those occasions we usually fly to Torino, get my parent's car, and drive south, trying to stay away from the highway as much as possible, to maximize the chance of scenic roads driving, up and down the gentle mountain passes, from secret valley to hidden lake, along the ancient roman's roads. The first great civilization to arise on the Apennines, having the epicenter in Umbria and Tuscany, was the one of the Etruscans. They were a mysterious population, unrelated to Upper Paleolithic hunter-gatherer european populations. Recent mitochondrial DNA analysis suggests that their origins may be found in the middle-east, corroborating the theories of Herodotus, about the etruscans being refugees from Lydia (in Anatolia) seeking new fertile lands after a devastating drought. Their language is still undeciphered, so we know very little about their history, except that at some point they were controlling the northern part of the mediterranean sea. That came to the end with the expansion of Rome, that like the borgs gradually assimilated all etruscan cities, giving rise to a single state under the roman republic. It is not by chance that the last three of the seven mythological kings of Rome had etruscan origins: the legend symbolizes the birth of this merged civilization destined to dominate all the lands around the Mediterranean sea in the millennium to come.